Prime Minister Narendra Modi wants to do to India what dictator Adolf Hitler did to Germany, senior Congress leader Mallikarjun Kharge on Sunday said. The Lok Sabha MP from Karnataka was speaking at a "Samvidhaan Bachao Parishad" organised in Bandra here by the Mumbai Congress. He said the country was deteriorating under BJP rule but added that the Congress would never let the RSS, BJP and PM Modi succeed in destroying the Constitution the way other institutions were being destroyed. "The Constitution does not belong to the people of a particular caste, religion or community but belongs to every Indian equally. Which right to freedom has been respected in parliamentary democracy by the BJP government?" he questioned. "The BJP hasn't been able to walk 4 steps in the right direction in the past 4 years. 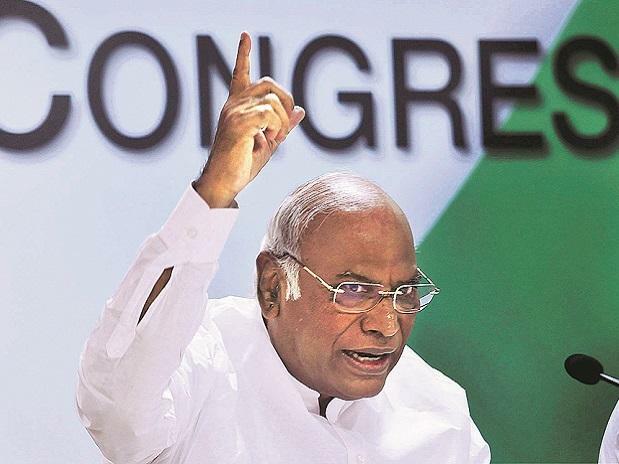 They don't have any right to point a finger at the Congress and ask us what has been done in the past 70 years," Kharge, Congress general secretary in charge of Maharashtra said. Kharge claimed that since the BJP came to power, it had destroyed freedom of speech and expression was constantly curbing the press. "The BJP is trying to bring dictatorship in the country. PM Modi wants to do to India what Adolf Hitler did to Germany. The Constitution is in danger and we need to fight the BJP's attempts to destroy it," he claimed. Mumbai Congress chief Sanjay Nirupam, speaking at the function, said there had been repeated attacks on the principles which formed the foundation of the country. "Constitution of India is the soul of the country which is being killed today. Since the past 4 years, the BJP has launched a new rule according to its own will which is not in sync with the law and order of the country," he said. Nirupam said the Congress will ensure that the message of the Samvidhaan Bachao Parishad reaches masses effectively. Congress MP Hussain Dalwai said the country will be safe only if its Constitution is protected, and urged people to fight and protect it.